Looking for a great Christmas present that even contributes to saving the planet? Check out our December startup, they might have what you are looking for! 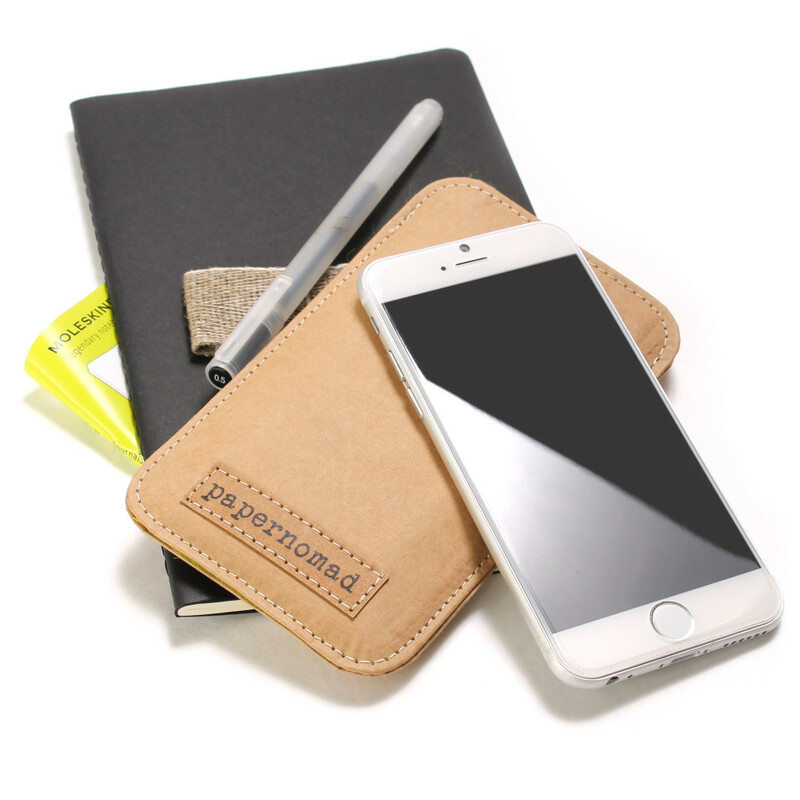 Papernomad is the analog companion for our mobile digital devices. 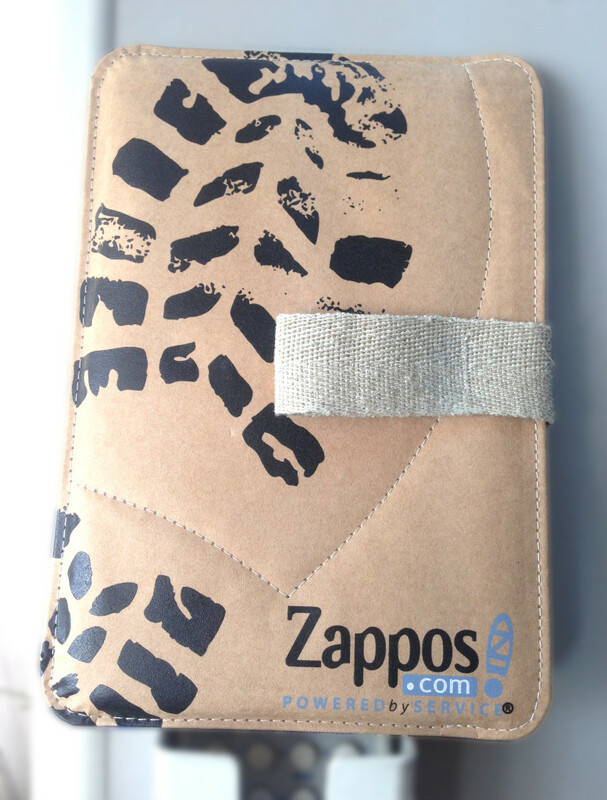 The paper sleeves for smartphones, iPads, MacBooks and co. are made of purely organic and biodegradable materials. “Made from paper?”, you might say. Yes, and this especially developed paper is tear resistant, waterproof and a canvas for our thoughts and adventures. Plus, these products are a great example for sustainable product design. 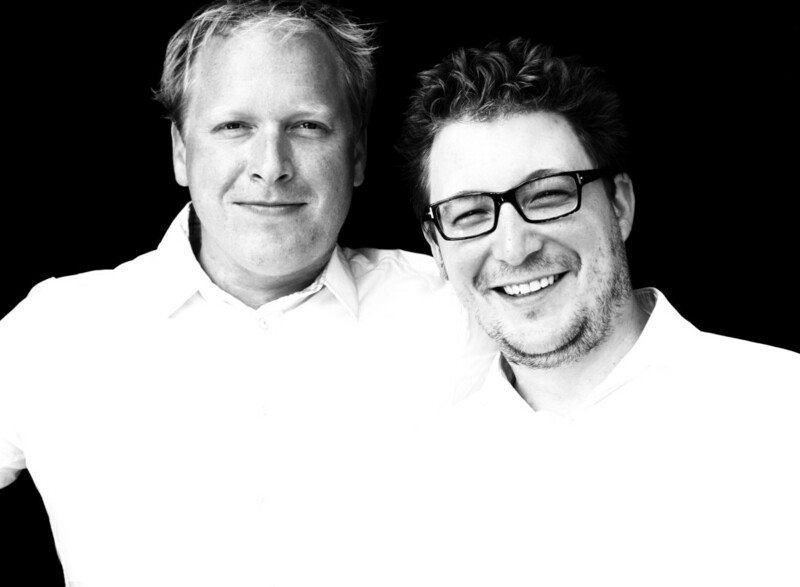 Christoph Rochna and Mario Bauer founded the startup. Christoph studied industrial design, worked in a museum for 10 years and decided it was time to return to his passion – product design. Mario worked for the Austrian investment company Superfund, is the CEO of Vapiano Franchising and takes care of Papernomad’s project management. Just having moved to Melbourne, Christoph’s girlfriend decided instead of buying chairs for their new apartment to get them from flee markets and, following the DIY-trend, upcycle them. Christoph thought that it might take a while until the perfect chairs came their way, so he took the cardboard packaging of their newly acquired IKEA table and made a few stools out of it. Having lasted for half a year, Christoph was intrigued by the idea to create furniture out of paper. The first prototypes, however, did not survey in a real-life setting. He was about to give up when Christoph had another idea. Paper beanbags filled with popcorn. Completely biodegradable and perfectly suitable for events Christoph and Mario managed to get their first clients. 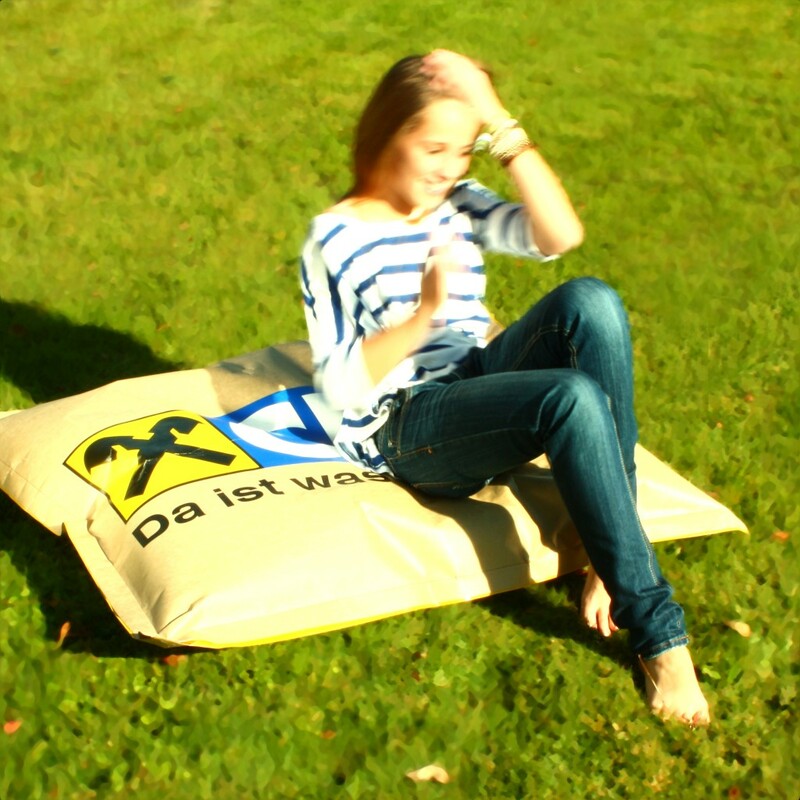 To actually produce these beanbags, the team needed a tear and water resistant paper that was also compliant with fire safety standards at events. In cooperation with the paper manufacturing company Mondi they developed a composite material made of very strong paper, a biopolymer membrane and a special texture that is giving the paper its characteristics. For its outstanding product design Papernomad received various awards: In 2012 the team was honored with the Red Dot Design Award, in 2013 they received the German Design Award and this year they got the bronze medal at the A’Design Award ceremony. Papernomad is also presented together with products from Apple, Dyson and Freitag in the book “Die Geschichte des nachhaltigen Designs” (The history of sustainable design). The paper sleeves are an invitation to be creative yourself. You can design your personal Papernomad the way you want. There are endless possibilities. At the beginning Christoph and Mario bootstraped their startup. Eventually they got financial support from a Finnish and an American investor, both also contributing their specific knowledge to the startup. The team started its revenue stream with corporate editions for Mondi and Tirol Werbung. Their first clients also included the Austrian telecommunications company A1, the German watch manufacturer Glashütte and German news magazine Der Spiegel. The majority of their products is bought by private consumers. 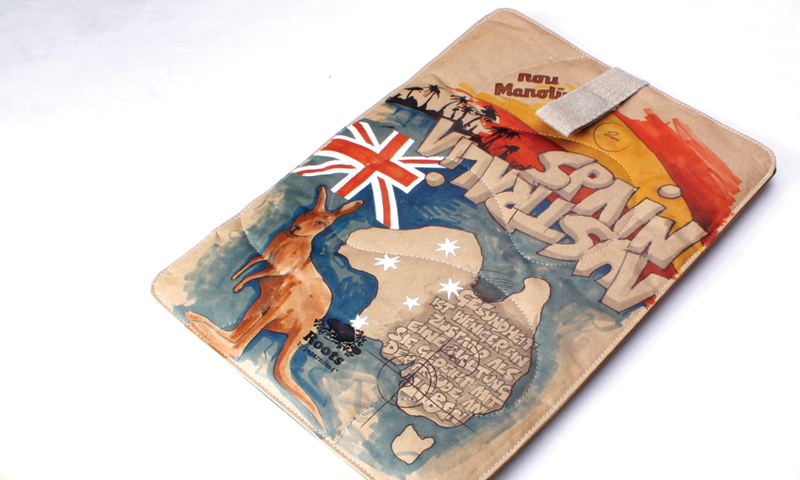 The Papernomad products can be found in their Online Shop and in Austria at McShark, Saturn and Media Markt. Most sales are generated in Germany and Austria. The startup’s products are gaining popularity especially in the US and the Middle East. In these two markets Papernomad started to cooperate with Griffin Technology based in Tennessee and Vicooms headquartered in Qatar and founded subsidiaries for the regional distribution. The team is constantly working on the further development of their materials and products. In addition, the team is planning a cooperation with Moleskine. Christoph: “When you only see our products online and can’t touch them, it is often hard to understand them. We were often surprised how fast our customers understand our products once they hold them in their hands.” The team is now focusing on reaching as many customers as possible offline where they can touch the products. The cooperation with Moleskine will be an important step into this direction.